Expenses for items that are merely beneficial to the general health are not expenses for medical care. Over-the-counter (OTC) medicines or drugs can be reimbursed only if prescribed by a doctor. In addition, each account is subject to additional rules that may prohibit reimbursement of an otherwise qualifying medical expense. This list is not exhaustive. 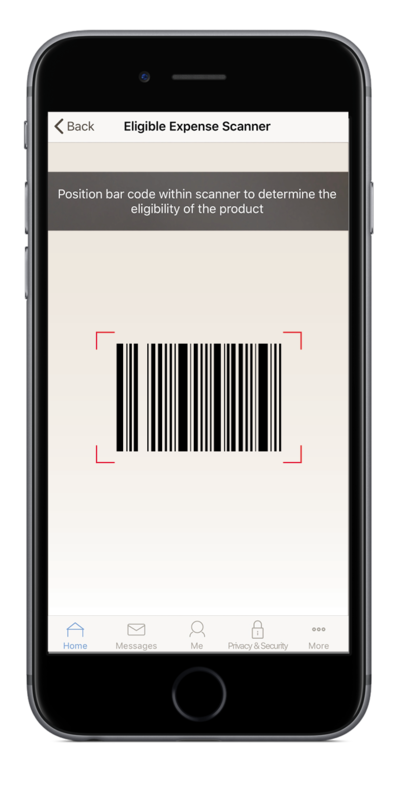 Our new barcode scanner takes the guesswork out of what items the IRS considers qualified expenses. Just open the MyHealth mobile app, select "Eligible Expense Scanner" from the menu, then simply scan the item barcode to find out if it can be paid for using your health account. For a complete list of qualified medical expenses see IRS Publication 502.